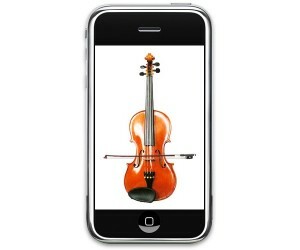 Tiny Violin is a personal app that I created to learn about iPhone development. When Apple released the iPhone OS SDK in early 2008, I immediately downloaded and begin playing around with it. Tiny Violin was available the day the App Store went live. Over thirty-thousand downloads later, Tiny Violin continues to be in the top 30 apps in the Music/Games categories.